New Zealand’s system of income redistribution is complex. It includes accident compensation, New Zealand Superannuation, minimum wages, tax thresholds, tax credits for families (such as Working for Families and the in-work tax credit), working age welfare benefits, and the Accommodation Supplement. The system lacks coherence. The myriad of income supports and redistribution all adapt to inflation and real income growth in different ways, shifting the relative balance between policies and undermining their equity and efficiency. As a consequence of different modes of adaption to community income growth across re-distributional policies, settings are also ripe for stealthy manipulation by governments. Furthermore, even where mechanisms to index redistribution to inflation and real incomes exist, changes in community living standards may not be accurately reflected through mechanical indexation adjustments. But nor, on the other hand, can changes in inflation and real incomes be ignored in making re-distributional decisions, which logically should be made in real rather than nominal (or face value) terms. What are these different modes of adaptation to inflation and income growth? Starting at the most indexed component of New Zealand’s system of redistribution, accident compensation earnings replacement is paid out at 80 per cent of worker’s personal earnings, up to a maximum threshold. As personal earnings grow in response to productivity and inflation, so compensation for accidents keeps up. The upper threshold, currently over $120,000 per annum, is annually changed by the Accident Compensation Corporation (ACC) according to earnings growth. The process used to change this upper threshold is not obvious in ACC’s online documentation. New Zealand Superannuation is also significantly indexed to both prices and real incomes. Superannuation is changed annually using a legislative formula that adjusts it for increases in the cost of living, measured by rises in the Consumers Price Index (CPI). Superannuation can also increase when economy-wide average weekly earnings in the economy rise faster than the cost of living, which they will tend to do in the long term. 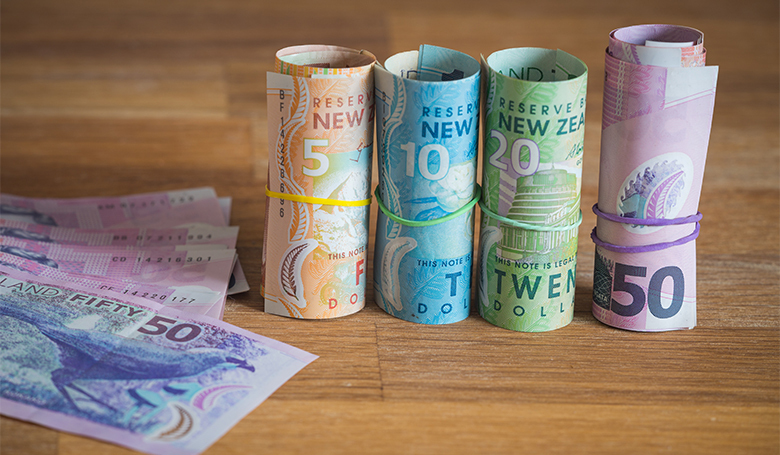 As with New Zealand Superannuation, the government has a statutory obligation to annually review the minimum wage under the Minimum Wage Act 1983. However, unlike Superannuation, there is no mechanical adjustment formula. Minimum wages are considered in the Ministry for Business, Innovation and Employment-led Minimum Wage Review. There are a number of criteria used in the review, including changes in wages and prices, the state of the economy, and evidence on the size of any dis-employment effects. Recommendations to change or leave stable minimum wage changes are made to the government, who adopt or ignore the recommendations. Income tax thresholds are set in nominal terms and hence not indexed at all. The lack of indexation means that fiscal drag – redistributing incomes from tax-payers to government – occurs as inflation and real income growth progressively pushes higher proportions of people’s incomes into the higher marginal tax brackets. First tier welfare benefits (for unemployment, sickness or sole parenthood) have largely been held to inflation (the CPI), with the exception of substantial nominal cuts in 1991 and a minor one-off increase in some benefits in 2015, for a period approaching half a century. This customary inflation indexation to the CPI was given a more formal grounding in legislation in 2010. Sitting alongside the working age benefit system is Working for Families, a system of tax credits targeted at families with children. The Family Tax Credit (FTC) is available to low-income beneficiary and working families. It is adjusted upwards every time the CPI cumulates by five per cent. The In-Work Tax Credit (IWTC) is not indexed to either the CPI or real incomes. Equally, the thresholds for benefit phase-out as market income rises are also fixed in money terms. The major second tier benefit, the Accommodation Supplement is not indexed to CPI, or rents, and like the IWTC is not regularly reviewed by any process. The vast majority of New Zealanders receive some income redistribution at some point in their lives. But how this income is adjusted to reflect changing living costs is very dependent on the form of income redistribution involved. So how do we ensure that everyone is treated equally, consistently and fairly? How do we de-politicise, as far as possible, the big redistributional and efficiency questions arising from these systems of redistribution, on which New Zealanders need information to make quality decisions? How do we ensure that all our methods of redistributing income consistently pull in the same direction and work together in the best manner to achieve the required redistribution? One solution is to set up a legally mandated structure to regularly ensure the best possible use of evidence and information to inform the political decisions regarding the operation of the system as a whole. The review process can be thought of as a New Zealand Community Living Standards Review. My proposal involves taking some basic ideas from the annual minimum wage review and expanding it across all redistributional instruments discussed above. The New Zealand Community Living Standards Review would involve an independent and transparent periodic review undertaken at least every three years by a panel of experts. They would advise government on adjustments to minimum wages, all welfare benefits, and income tax rates to consistently reflect changing community living standards. The panel would be appointed for their expertise, not political allegiances, with a significant degree of continuity of membership over time. The panel would be appointed by the government, based on recommendations made by government agencies, stakeholder groups and citizens. Agencies like Treasury, the Inland Revenue Department, the Ministry for Business, Innovation and Employment, and the Ministry for Social Development would provide secondments to the panel’s secretariat. The review would be transparent and open to the public. It would broadly seek submissions from across the community. Its output would be a publically available and accessible report with recommendations for systemic changes to the government of the day. The final decisions for change, necessarily and constitutionally, would rest with Parliament. The review would consider a broad range of factors relevant to community living standards. These would include trends in market incomes across the distribution, trends in family structure, labour market conditions, incentive effects of changes and the government’s fiscal position. In contrast to a reliance on the current automatic mechanisms, which include doing nothing, this approach would deliver a comprehensive and robust analysis, ensuring all components were pulling in the same direction to better meet society’s equity and efficiency goals. Such a review would give real teeth to the notion of ‘growing New Zealand for all’, or inclusive growth. It would ensure the technical aspects of the system of redistribution would be much better researched and analysed, resulting in a better informed public and better informed politicians. The clear political decisions would be made by the politicians, while their decision making would be more transparent to the voting public. This would reduce the ability of politicians to exploit the absence of indexation of many parts of the system to bribe voters in pre-election budgets. Importantly, it would eliminate inconsistency of treatment of different forms of redistribution. 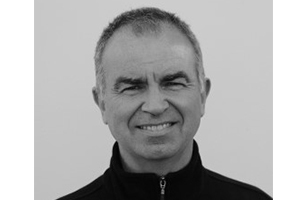 Simon Chapple is the Director of the Institute of Governance and Policy Studies at Victoria University of Wellington. He has worked in both the New Zealand public and private sectors as a policy advisor, consultant and economist, and for the OECD, coordinating their first publication on child well-being and editing the Social Policy Division’s social indicators publication, Society at a Glance. He was employed on the Dunedin Multi-disciplinary Health and Development Study at Otago University and has an ongoing research interest in welfare reform, social investment and child well-being.